Space 24: I’ll Become a Fighting Shield! That’ll do it for Kyuranger Box 2! We’ll be back with more Kyu Globes in March when Box 3 releases! Space 23: You Should Shield Me! 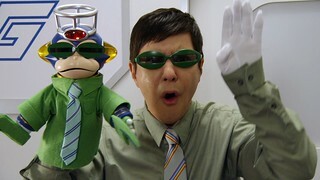 In order to resolve the mystery of Don Armage’s survival, Tsurugi will personally take over the Jark Matter broadcast on Earth and establish himself as “The Man who killed Don Armage” to the whole universe! As he concludes his transmission, Tecchu, one of Don Armage’s Vice Shoguns, arrives! 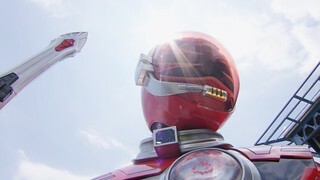 Tsurugi endangers the lives of innocent people while fighting him while Lucky protects them, but Tsurugi insists that in order to save the universe, some sacrifice is needed. 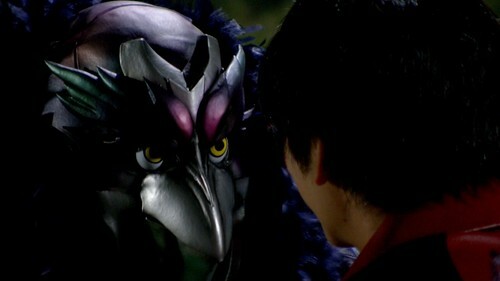 Just how can two people who oppose each other so much be able to defeat the Shogun and save the universe? 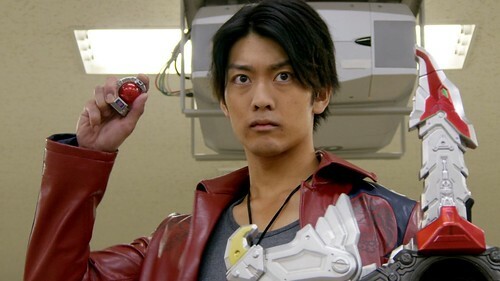 A luckless boy named Ryotaro Nogami comes across a strange train pass and becomes possessed by a powerful demon as he finds himself unexpectedly becoming the hero known as Den-O, fighting strange creatures from another time! As if we didn’t have enough trains here at OZC-Live, time to hop on the DenLiner in HD! 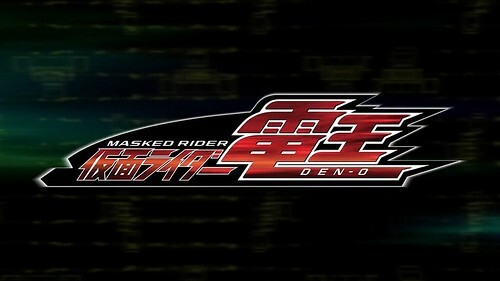 Thanks to an upload of the Den-O BDs on ADC and the efforts of Earthly to scrub Den-O’s subs, we’re excited to be able to team up to bring this to you! Per Earthly’s request, we’re tagging this just under the OZC-Live banner, but make no mistake, this is most certainly a joint effort! 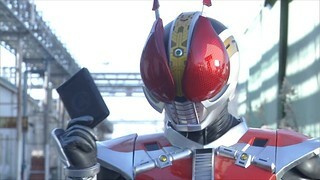 As one of the early native HD Rider shows, this is presented in 720p only, just like W, OOO, and Fourze. Enjoy! 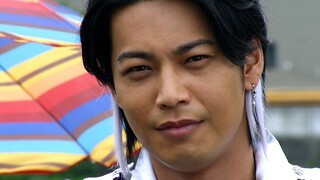 After reviving Tsurugi, the Kyurangers go out to search for answers when he suddenly appears on the Orion! 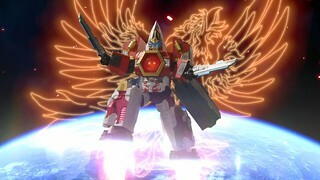 Retelling his history, he tells the Kyurangers that they are no longer needed and that he alone, as Phoenix Soldier, will defeat Jark Matter! Space 21: Goodbye Scorpio! The Return of the Argo! 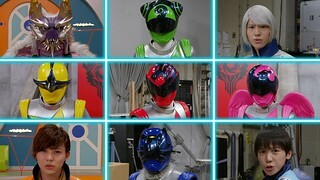 Stinger regains his consciousness and rejoins the Kyurangers in a fight against Scorpio! 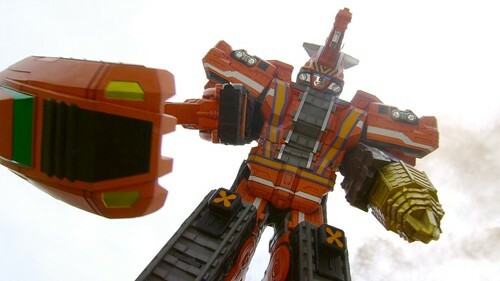 However, Scorpio exposes all of his power and rage on the Kyurangers, and attacks them with all his strength! And then, a mysterious warrior appears in the middle of the death battle! The victor of the fight, the fate of the 3 Kyu Globes, and the ending of the two brothers’ story… A new legend starts now! 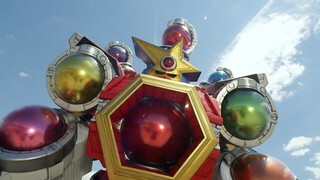 Stinger has betrayed the Kyurangers and brought Scorpio the remaining two Argo Kyu Globes! Scorpio had already stolen the Carina Kyutama from Planet Keel, so he has all the 3 necessary Kyu Globes to revive the Argo. Lucky rushes over to Stinger’s location in a hurry as Stinger challenges Scorpio to a fight to the death, using a special poison technique passed down through the Scorpius Tribe. In search of the final Kyu Globe in order to revive the Argo, Lucky and the others head to the Carina System! 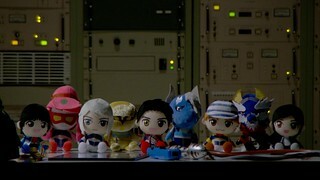 At the same time, Scorpio chases after the Kyurangers in search of the Carina Kyu Globe as well! 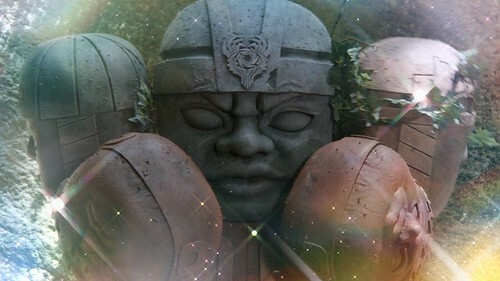 On the planet Keel, they encounter a Malistrate named Olmega who is forcing the people to construct a statue of himself in the center of the forest! Meanwhile, both Balance and Naga are attacked by a mysterious ivy in the forest, as they come to realize that the forest itself is alive! 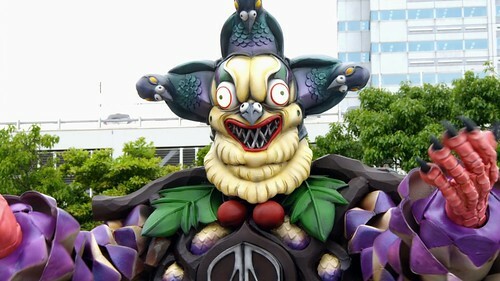 Jack-in-the-Box Shadow’s ability to send people flying away from him if they laugh affects all the ToQGers except Akira, causing the others to embark on a mission to not only give Jack-in-the-Box a taste of his own medicine but to also get Akira to laugh for once! 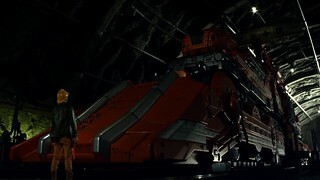 While Tokatti is trying to befriend Akira, the other trains are trapped under dirt and rock by a Darkliner Robo that captured the Drill Express, forcing Tokatti and Akira to work together to prepare ToQ #6’s new Express. 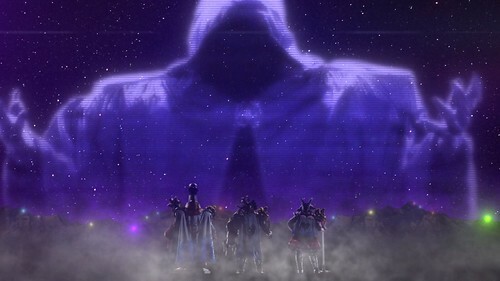 Although Zaram has left the Shadow Line and has become ToQ #6, he does not wish to remain with the ToQGers. When Ring Shadow traps people by putting rings with their names on their heads, Zaram, who should have eschewed his old Shadow name, must find a way to help the others and escape his former shackles as a Shadow.